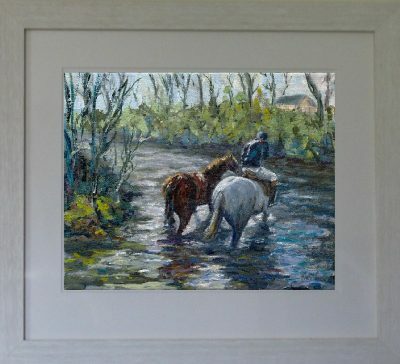 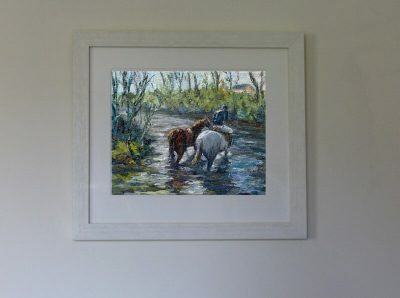 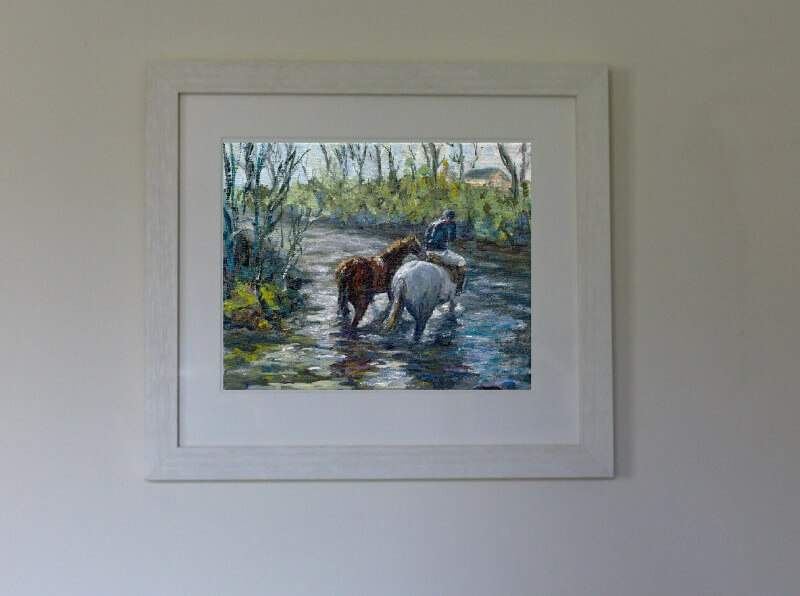 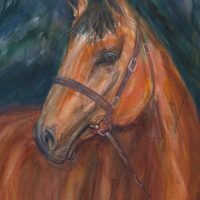 Oil painting of horses in river with rider after long day in saddle. After the hunt the horses are brought down to the river to drink from the water?s edge. 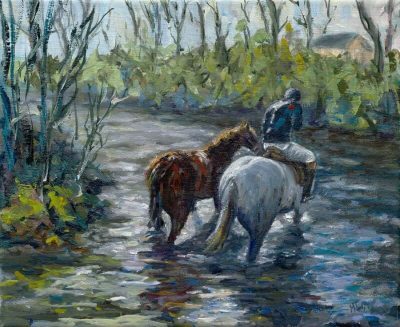 After a day?s galloping through the fields the horses will walk out into the river to get immersed in the cooling waters.